WASHINGTON - When President Barack Obama addresses the nation on Iraq Tuesday night, his Oval Office setting will be sporting a new look -- and one that pays homage to a pair of Republican predecessors. While the president and his family were away on vacation in Martha's Vineyard, workers installed new wallpaper, a new rug, new chairs, lamps and a coffee table. Officials gave photographers a look hours before the speech was to be delivered at 8 p.m. EST. The rug -- a honey-colored carpet with the presidential seal -- has a border that includes two noted speech excerpts. One reads, "GOVERNMENT OF THE PEOPLE, BY THE PEOPLE AND FOR THE PEOPLE," from Abraham Lincoln's Gettysburg Address, words that were among the most famous ever spoken by a president. The other is, "THE WELFARE OF EACH OF US IS DEPENDENT FUNDAMENTALLY ON THE WELFARE OF ALL OF US." It's from a speech that Theodore Roosevelt gave at the New York State Fair in Syracuse, N.Y., on Sept. 7, 1903. 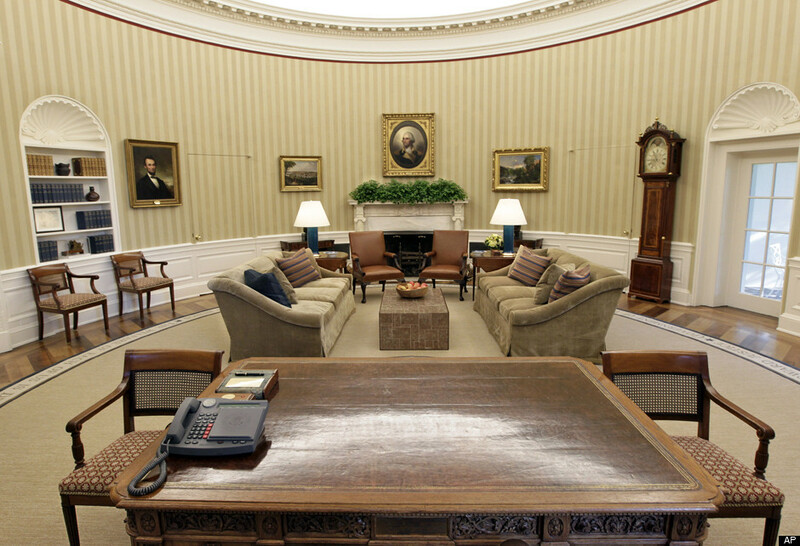 Presidents typically put their own touches on the Oval Office early in their terms. President George W. Bush brought in a rug designed by his wife, Laura. It included radiating stripes, which he often said suggested to him the optimism of a sunrise. 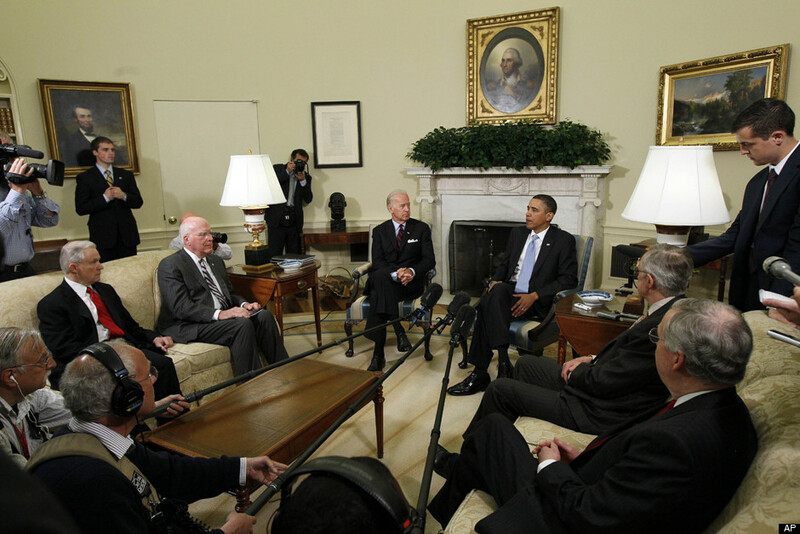 In Obama's makeover, the embroidered wingback chairs that Bush and visiting leaders sat on in front of the fireplace have been replaced by more businesslike, leather-covered boardroom-style chairs. The flanking sofas are covered in an unadorned beige corduroy. End table lamps are modernistic, with blue bases and white shades. There's also a new coffee table. Again, it's got an up-to-date look_ rectangular, and covered with marble-look tiles. Many items, though, have not changed. They range from the painting of George Washington over the fireplace to the Resolute Desk, built from the timbers of a British warship. A gift to President Rutherford B. Hayes, the desk was installed in the Oval Office by John F. Kennedy, and since has been used by presidents Jimmy Carter, Ronald Reagan, Bill Clinton and George W. Bush.